FC Barcelona have scored more direct free-kicks this season than any other side in Europe’s main leagues. Leo Messi’s fine free-kick against Athletic Club on Saturday moves Barça up to six such strikes this campaign, moving ahead of Juventus and Monaco. Already in 2017, Leo Messi has scored four goals from direct free-kicks, three of those coming against Athletic Club – one in the first leg of the Copa del Rey Round of 16, another in the second leg, and the third during Saturday's league meeting. Five of Messi's last seven goals against Gorka Iraizoz have been via free-kicks. The Argentine, with 27 free-kick goals with FC Barcelona, surpasses Ronald Koeman as the club's leading marksman from direct free-kicks. Messi, with 16 goal in La Liga, draws levels with teammate Luis Suárez at the top of the scoring charts. Barça have now won 13 straight league matches at the Camp Nou in the league against Athletic Club. Of the last 21 official matches between the two, Barcelona have managed four draws and 17 wins. The last Basque win at Camp Nou was in November 2001. (1-2). After scoring against Hércules in the Copa del Rey, Paco Alcácer opened his league account for the club, benefitting from a Neymar Jr assist. Aleix Vidal, with his second official Barça goal, scored the club's 100th goal of the campaign in all competitions. André Gomes made the most successful passes in the game, with a total of 55. Just five went wayward. 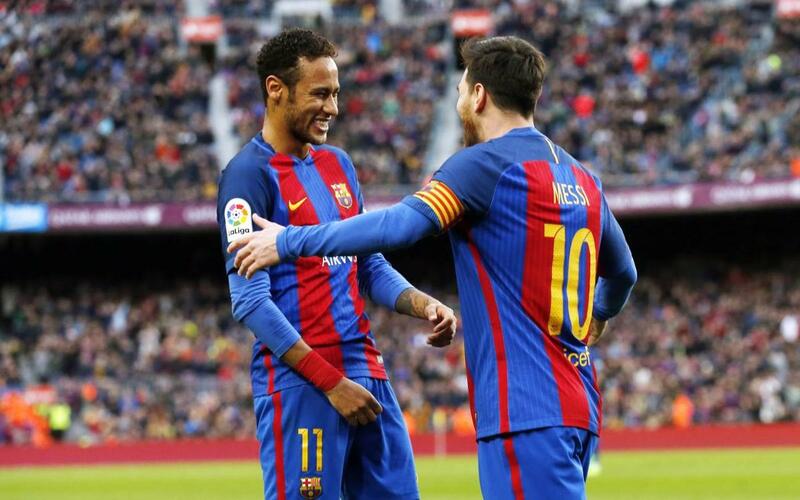 Neymar Jr is the Liga player with the most assists (15), in all competitions. He is followed by Toni Kroos, with 12, and Leo Messi, with 10. The Brazilian made the most successful dribbles (8) against Athletic, followed by Arda, who managed four.